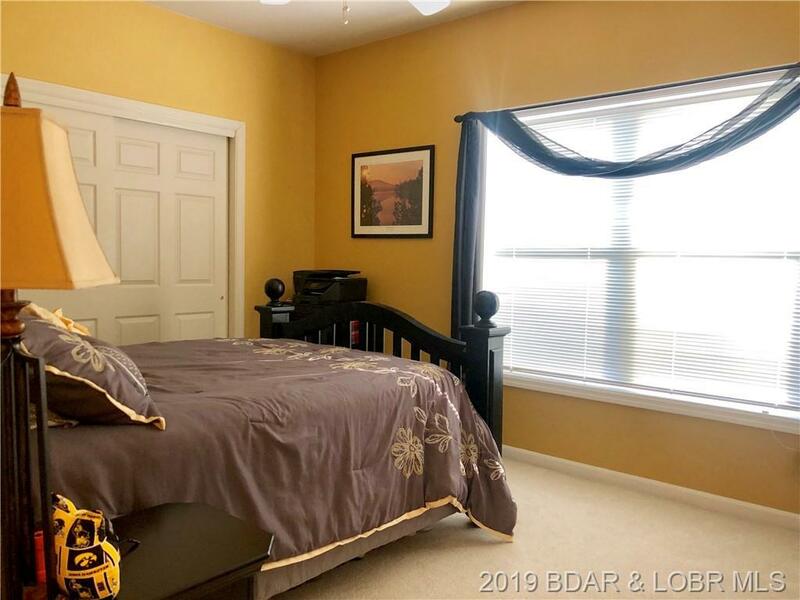 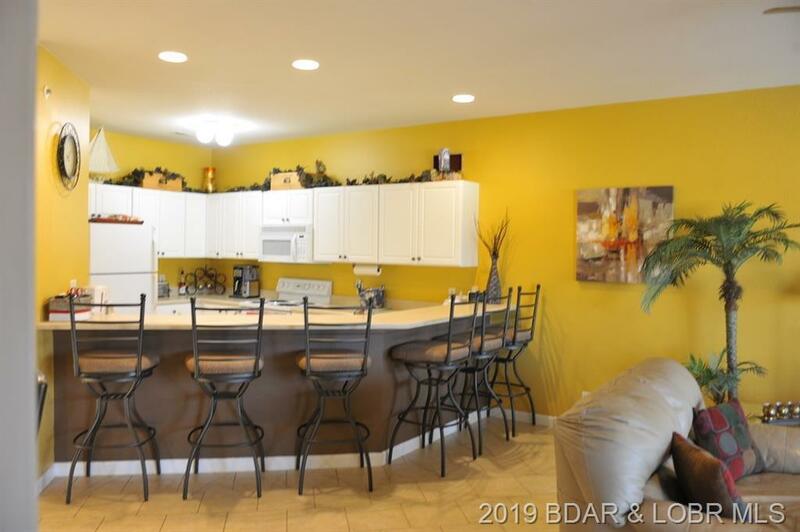 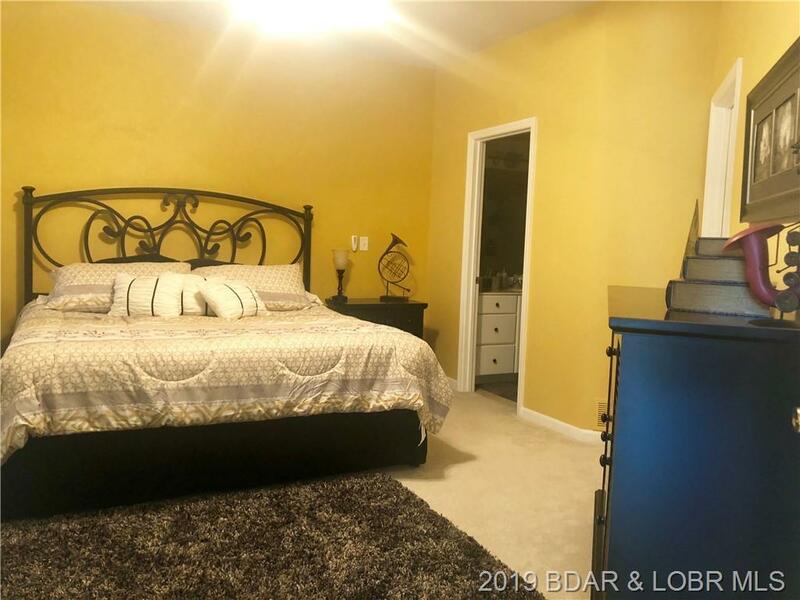 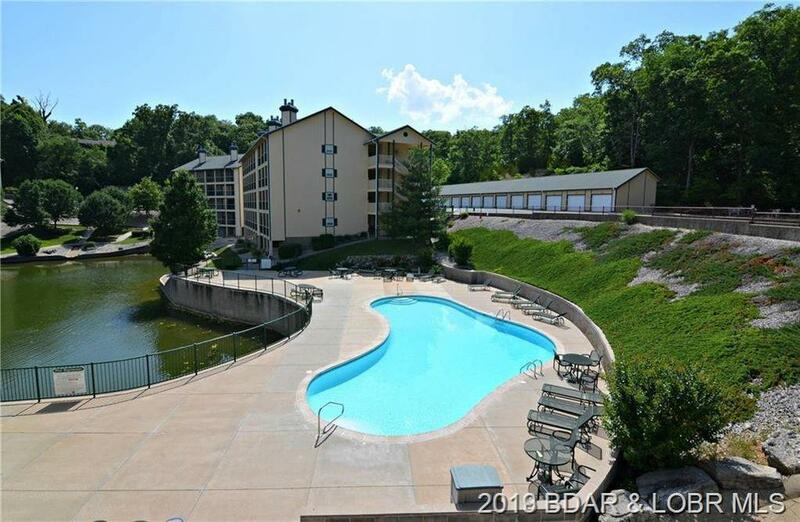 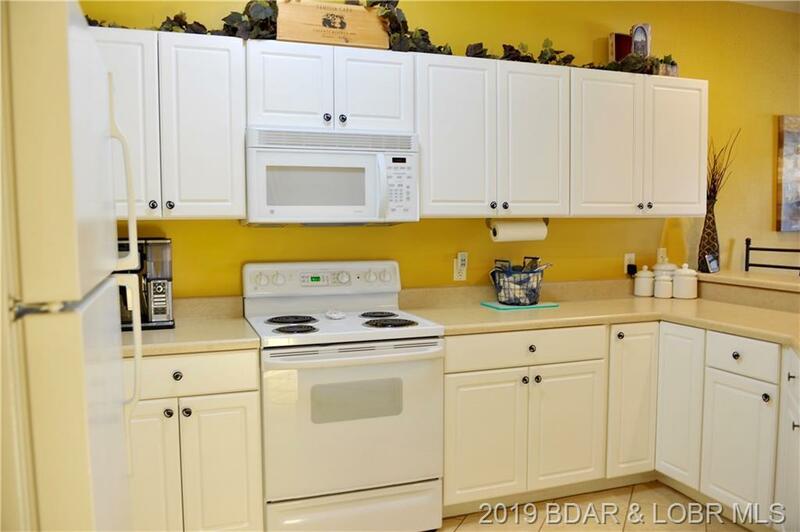 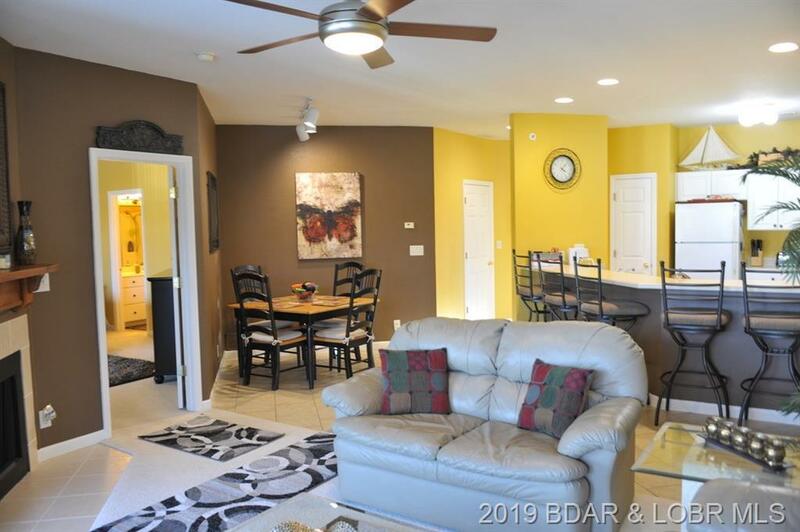 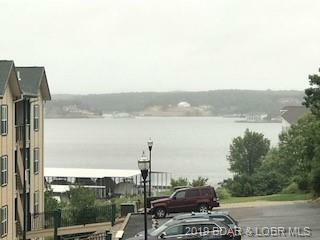 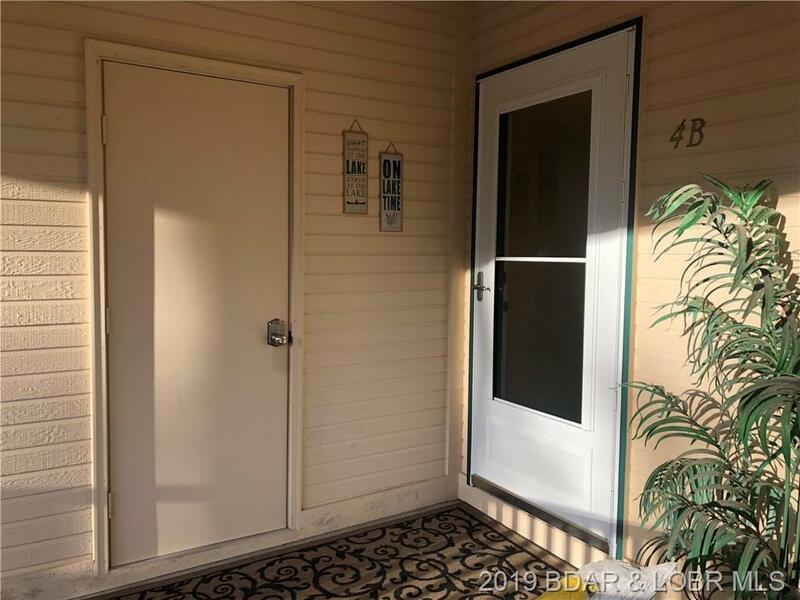 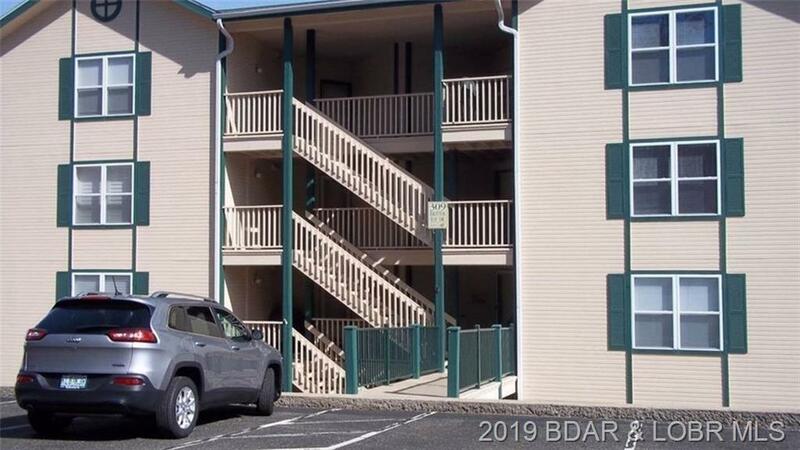 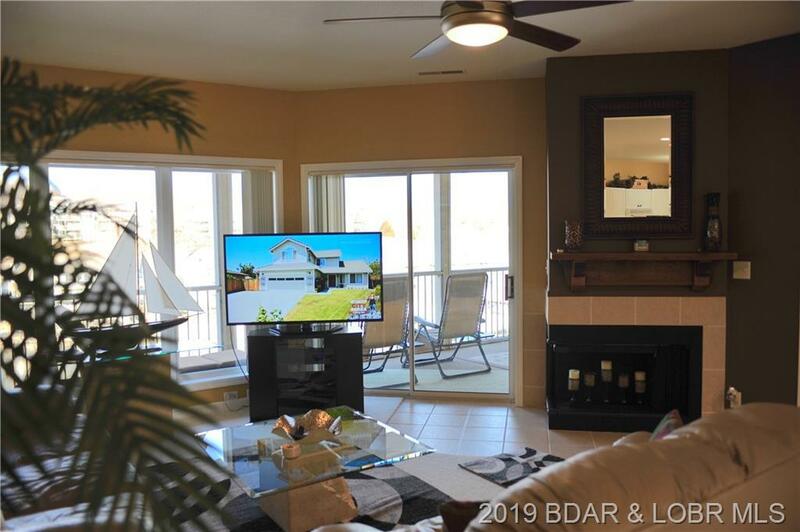 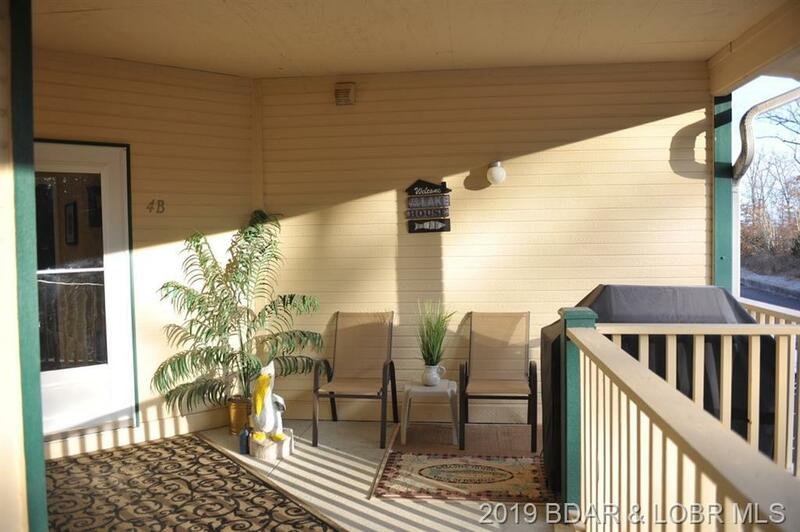 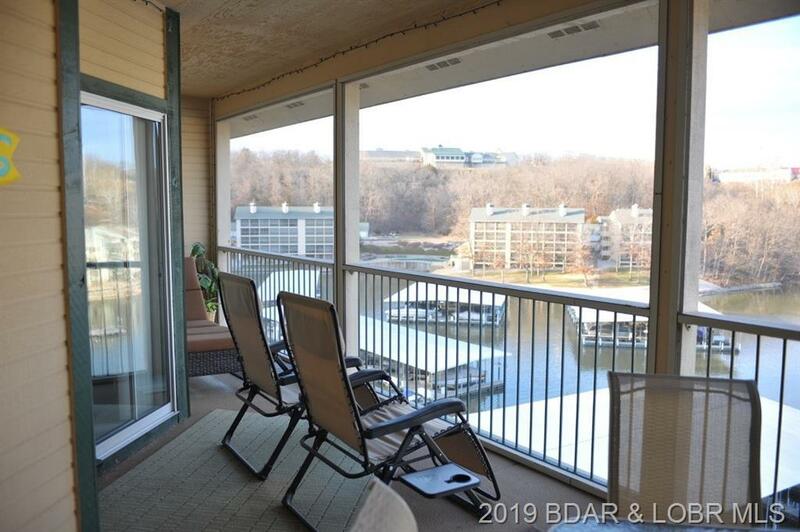 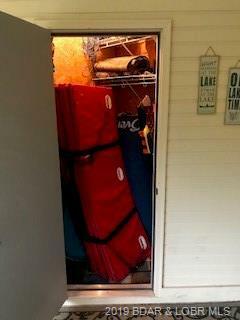 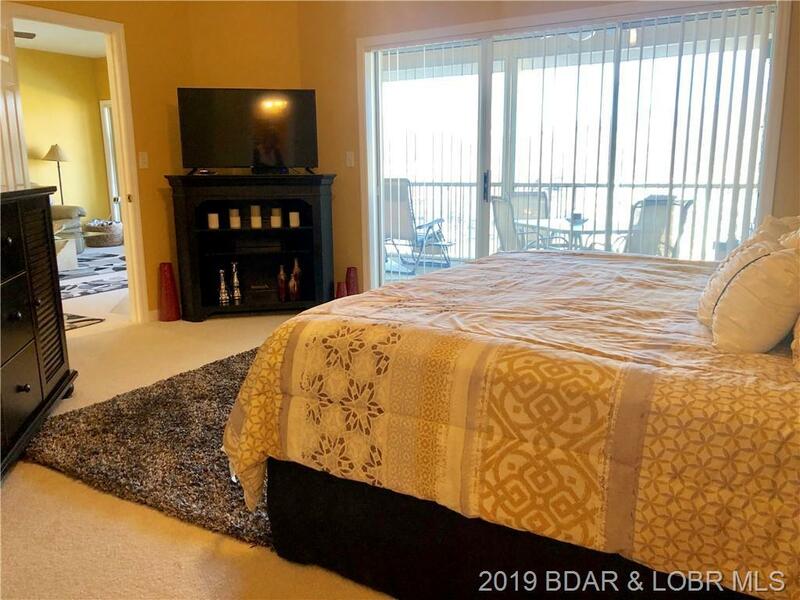 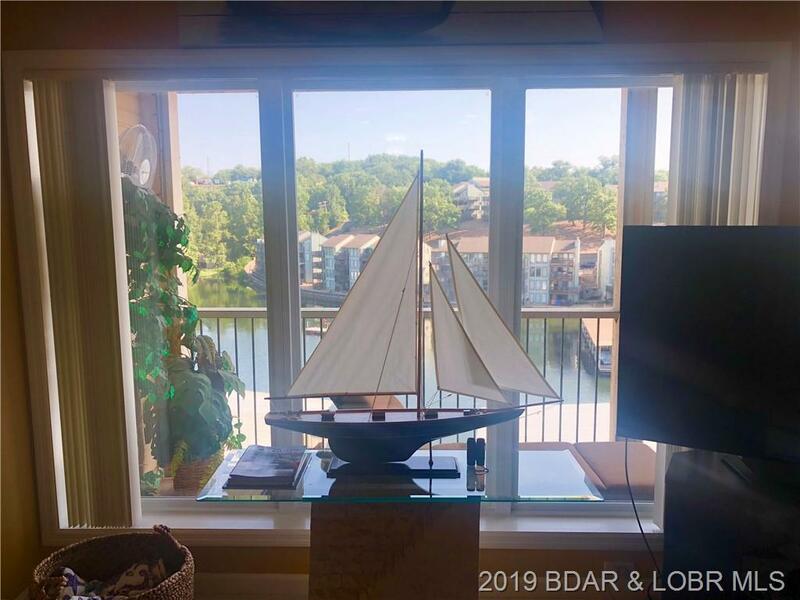 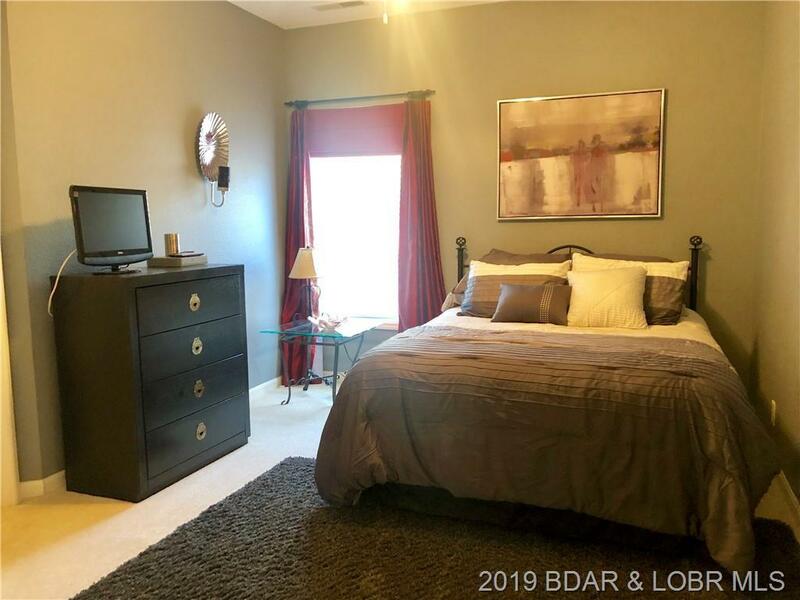 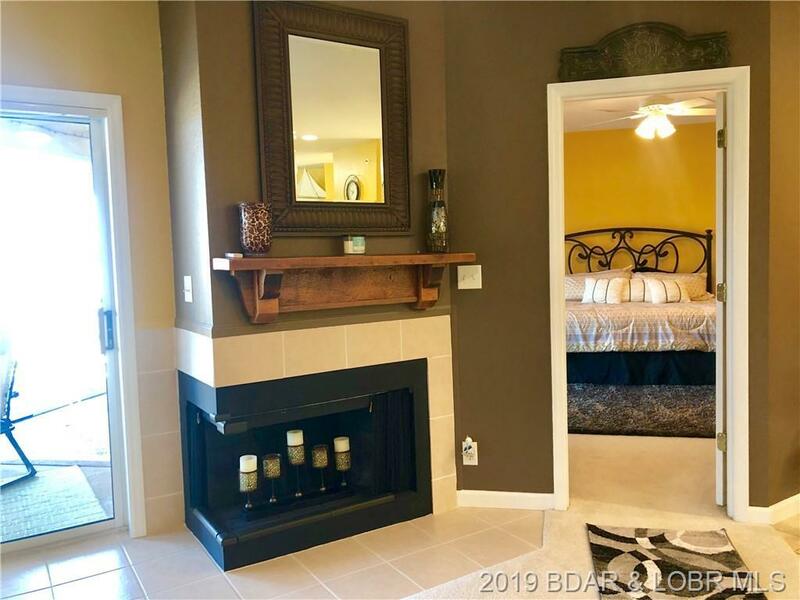 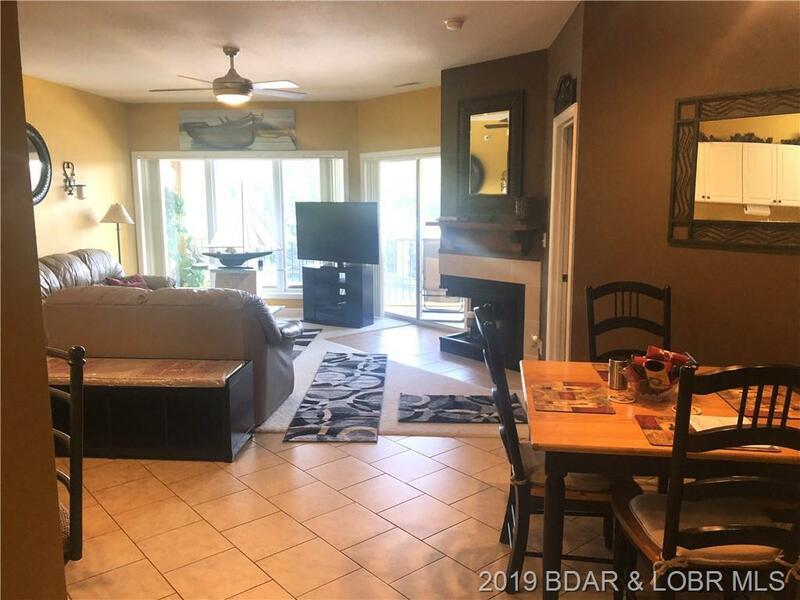 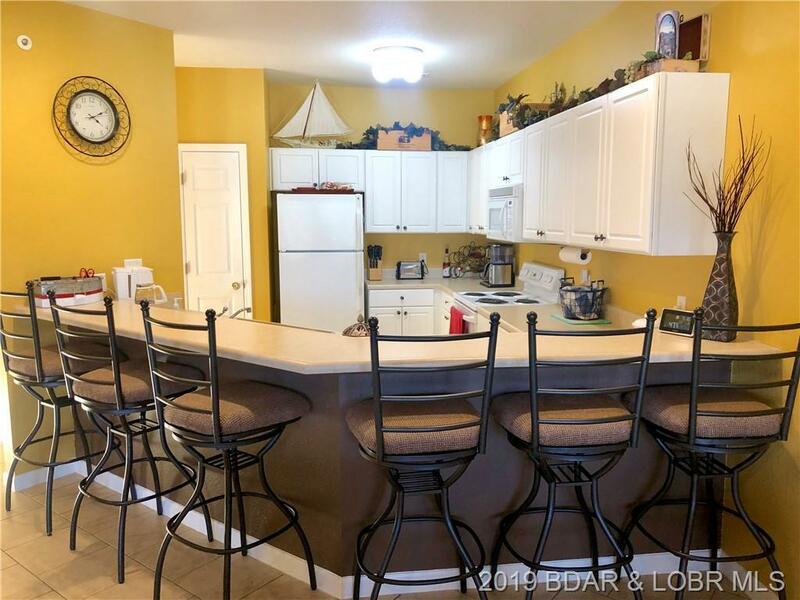 309 Bristol Bay Drive #4B, Lake Ozark, MO.| MLS# 3511197 | Lake of the Ozarks Real Estate for Sale, Search for Homes, Condos, Lots, Land & Commercial Listings in Osage Beach, Lake Ozark, Four Seasons, Linn Creek, Camdenton, Rocky Mount, Sunrise Beach, Laurie, Brumley, Kaiser & surrounding areas. 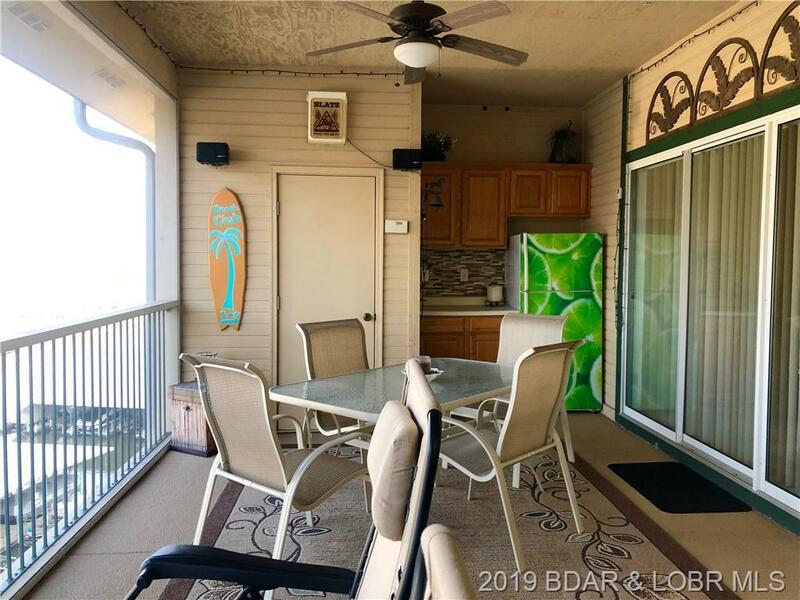 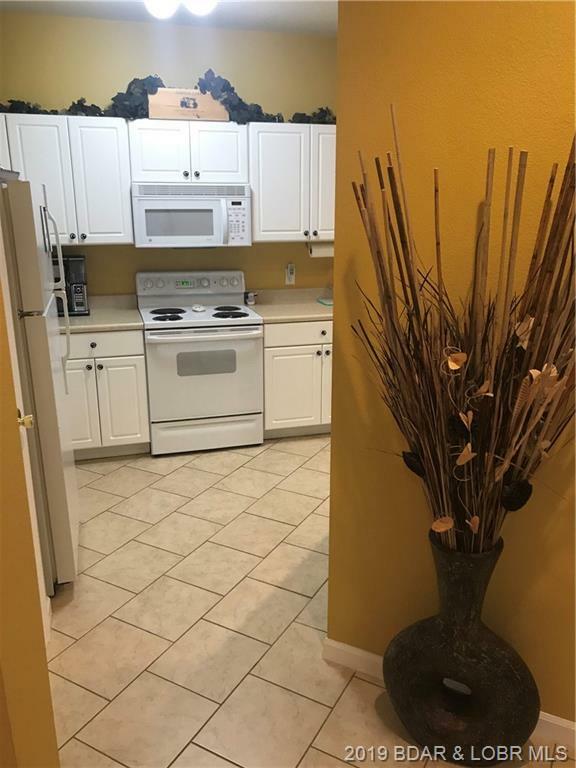 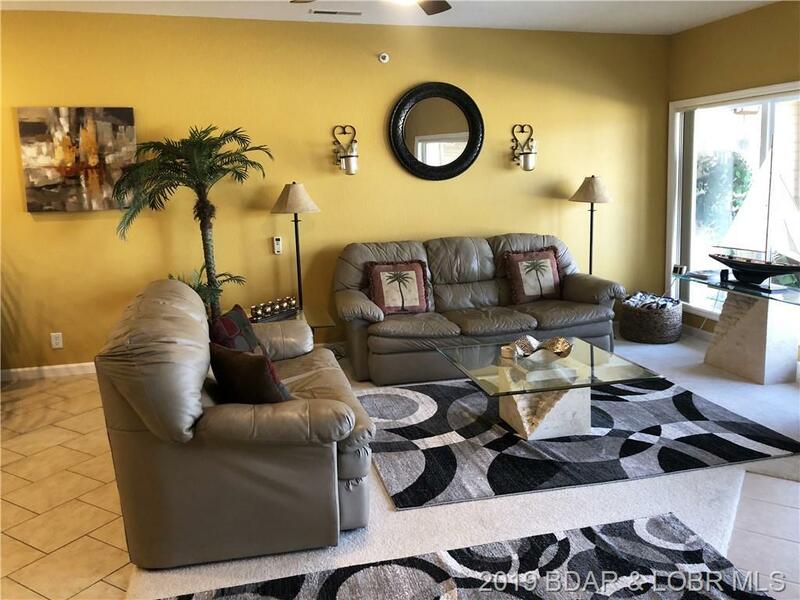 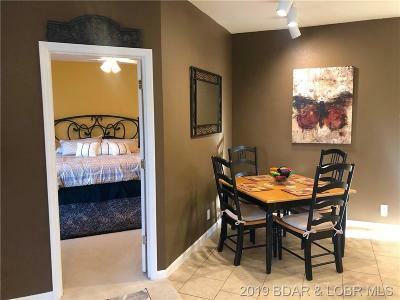 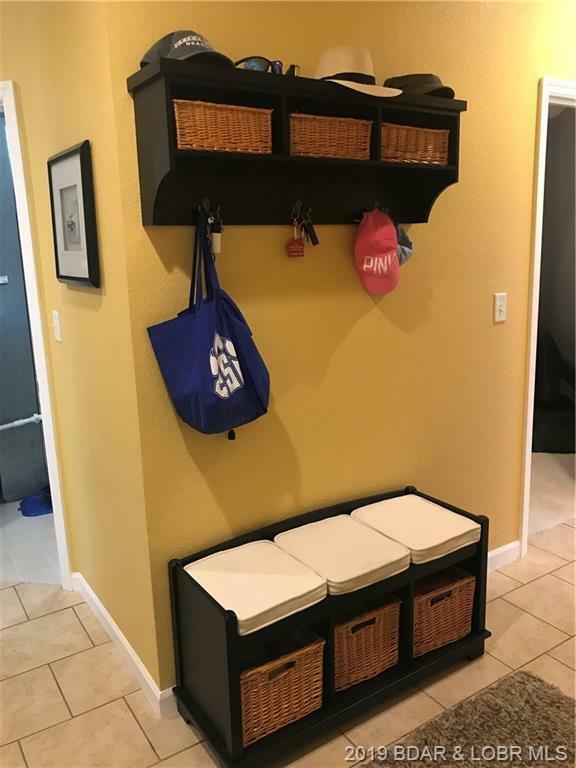 This beautifully decorated, turn-Key unit has an open floor plan and a huge covered deck w/bar and refrigerator for entertaining friends. 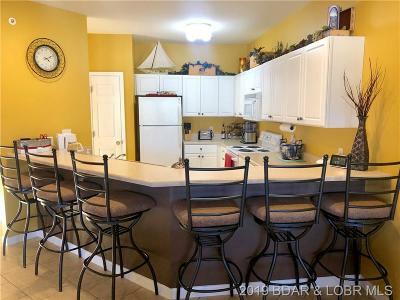 This home exudes charm, relaxation and FUN. 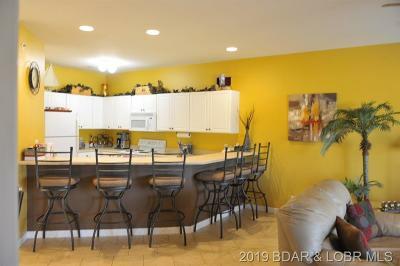 Package includes: 1,418 sq. ft. 3 bed/2 bath top floor unit with 9' ceilings; only top floor B unit currently available in this complex (gives you private extra front porch area & no foot traffic from stairs); 2 large storage closets (by front door & on deck); grilling area on front porch; 12x30 boat slip (end slip for each access) with 9,000# lift; 2 PWC slips w/lifts; all appliances, furniture, décor, furnishings, deck furniture, rugs, etc; huge screened deck w/ kitchen/bar area; new water heater in April, 2018. 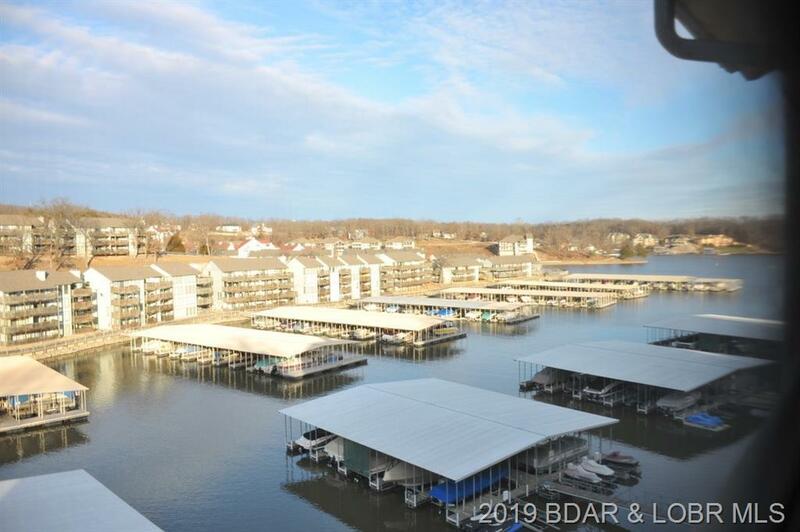 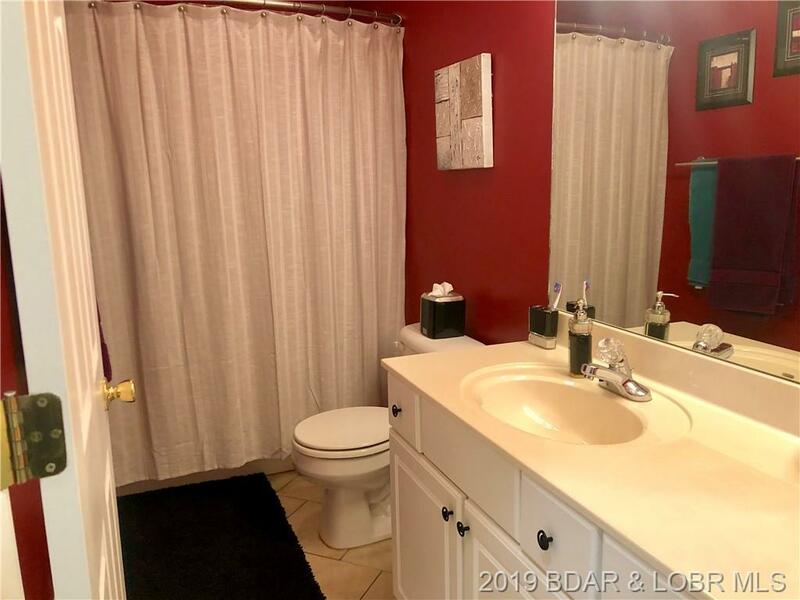 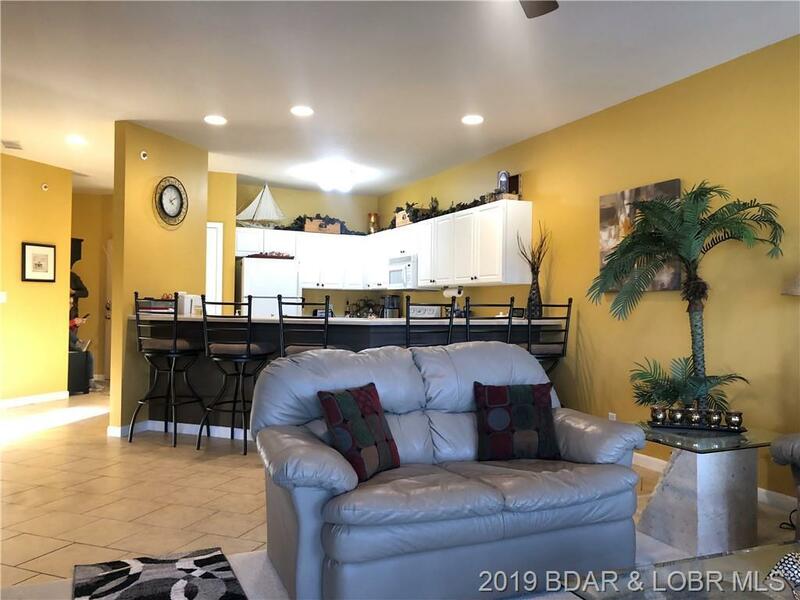 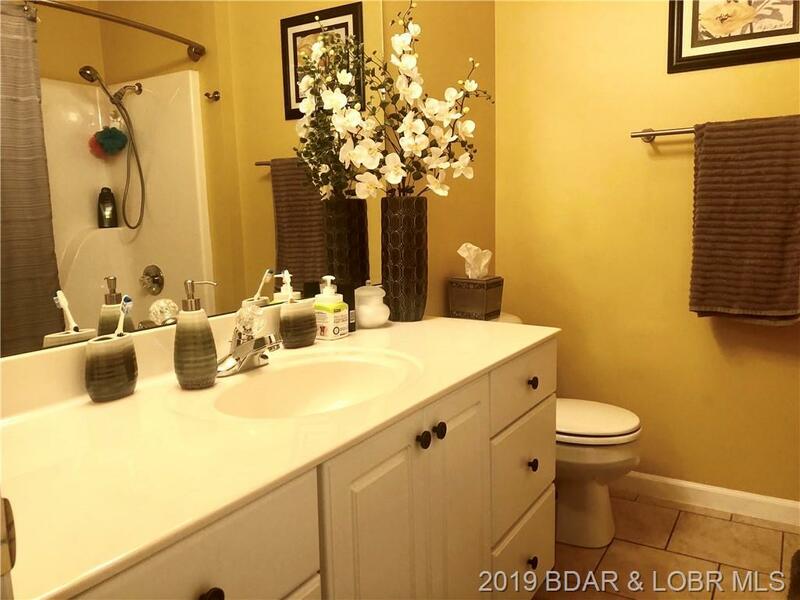 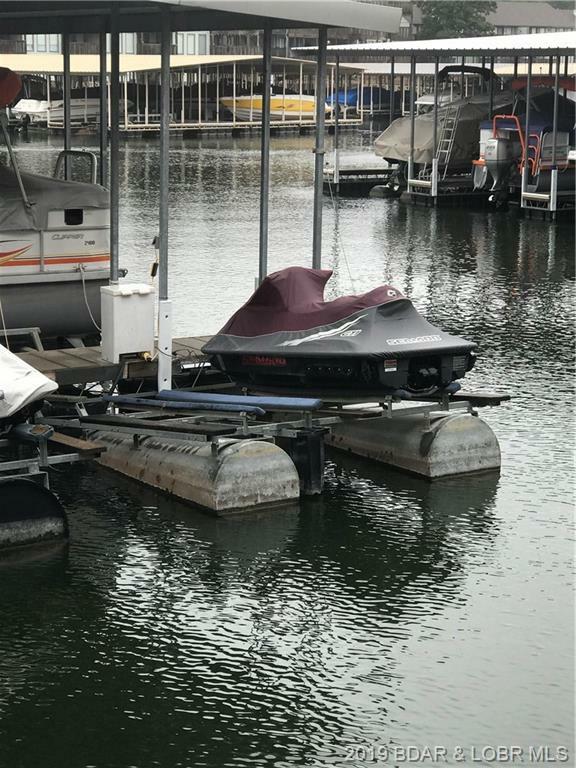 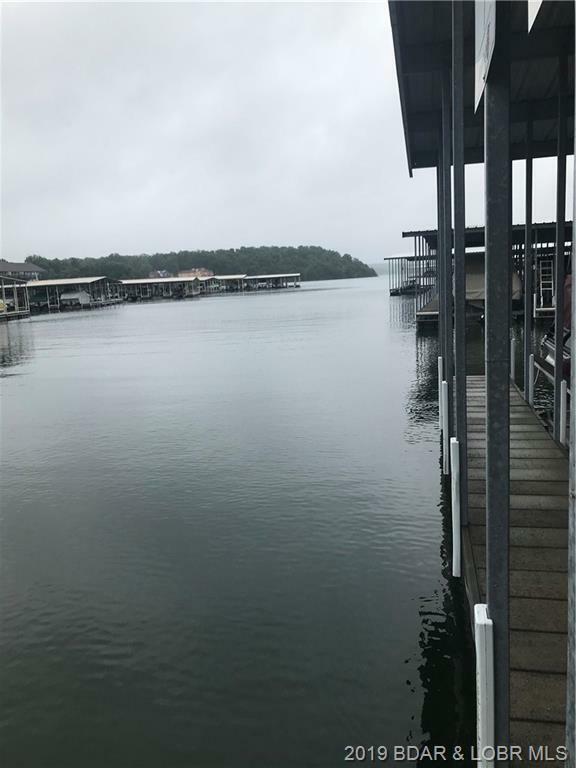 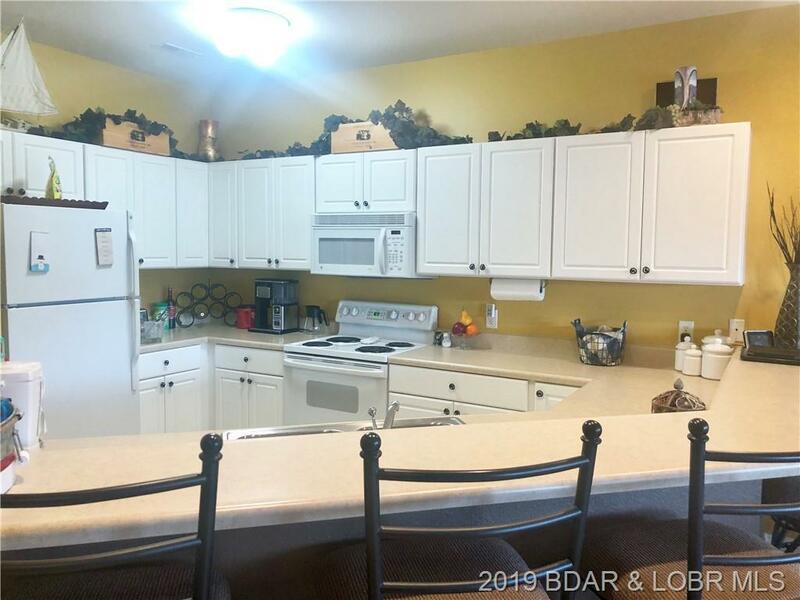 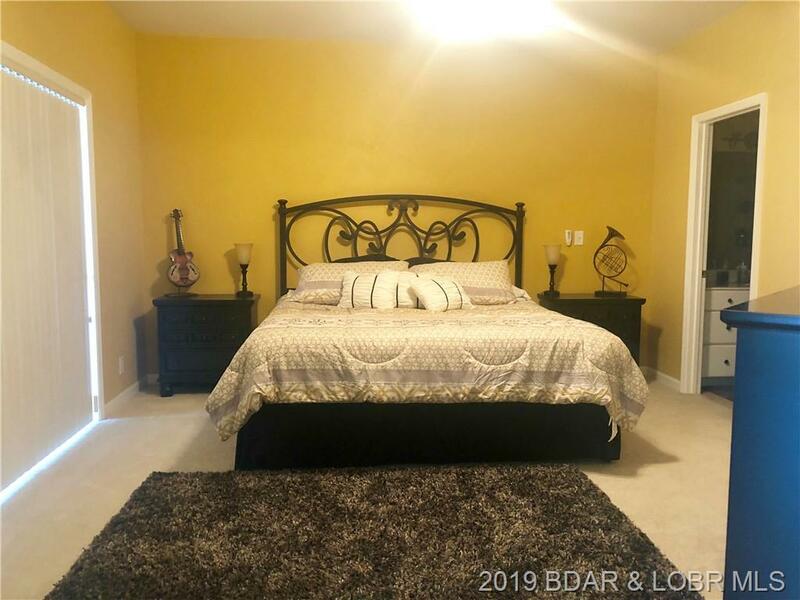 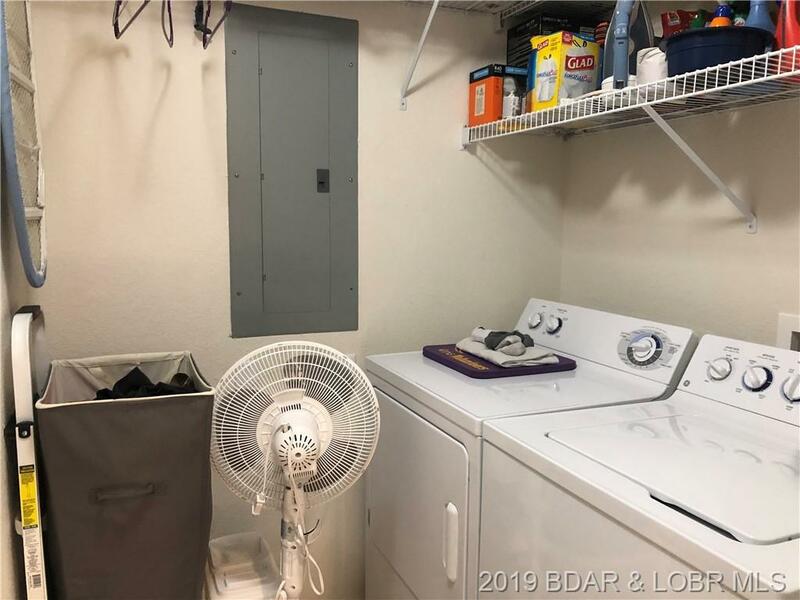 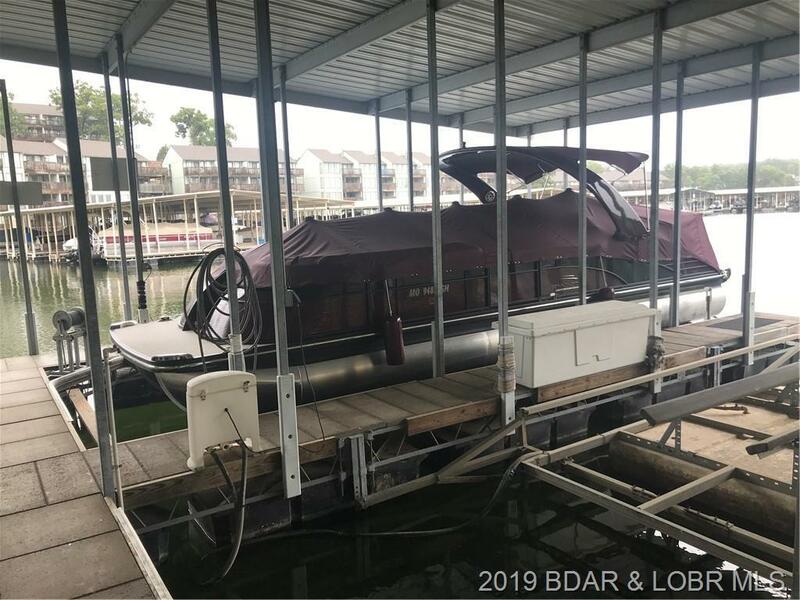 Great location by land & water at the 12mm off Horseshoe Bend Pkwy in a protected cove; financially sound complex with no special assessments; lots of parking, even during holidays; pet-friendly grassy areas near unit; fire pit area; and close to restaurants, shopping, and Bagnell Dam strip. 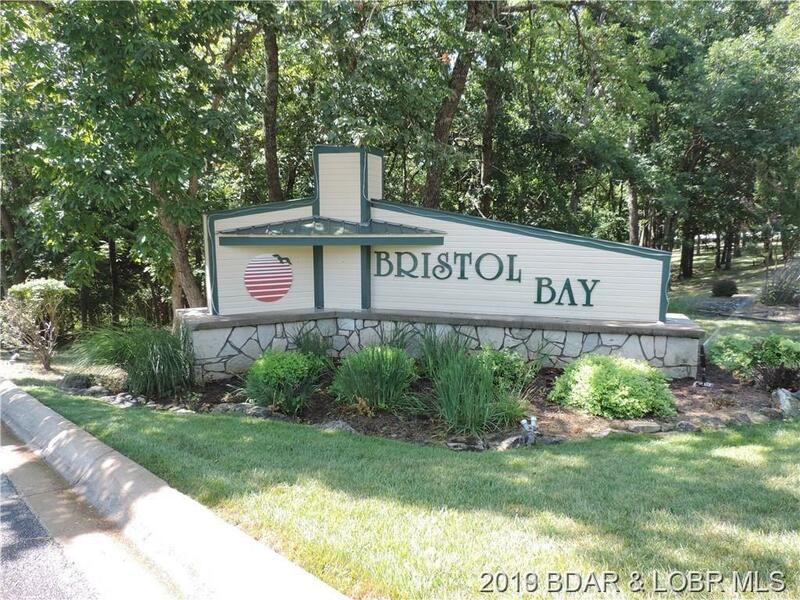 Directions: Horseshoe Bend Parkway To Bristol Bay. 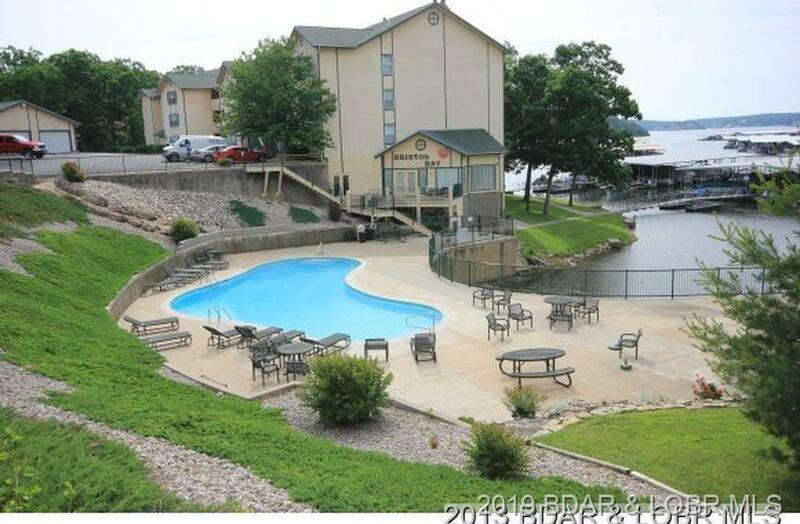 Go Down Hill And Stay To Right To Building 309.